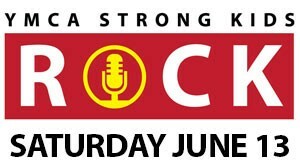 Due to a last minute cancellation, Storm The Palace has been added to this Saturday’s YMCA STRONG KIDS ROCK Benefit Concert at The Mill in Cobourg. Unfortunately Tim is unavailable for this show, so Adam and Christian will be slaved to the drum machine for another ELECTRO 80’s Set. Show starts at 3:00pm and STP are on at 9:30pm. Come support a very good cause. Last year this event sold out so don’t be disappointed.